Located just beyond Walmgate. 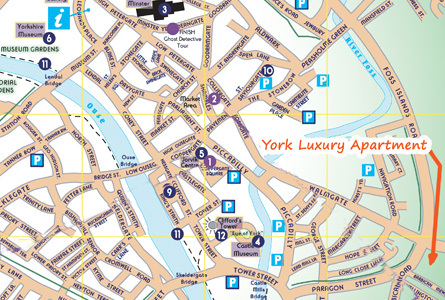 The Apartment is a 5 minute walk from the city centre and surounded by good resteraunts, tourist attractions and shops. The apartment is located on the first floor and benefits from 2 spacious double bedrooms (One a Kingsize bed with ensuite) , a large Lounge with dinning area, designer kitchen, hall. Additionally there is secure parking for one car. Take your time to look around our centrelly located Luxury Apartment. Voted Europe's favourite city, York is the ideal holiday location at any time of the year.